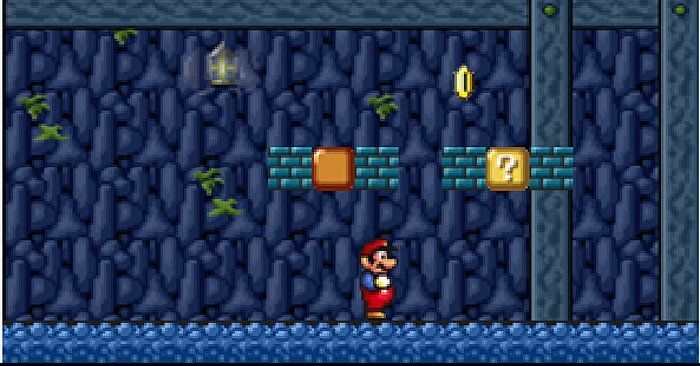 Play as either Mario or Luigi in this brilliant Flash version of the classic Super Mario Bros. games. Use the Cursor Left and Right keys (Arrow keys) to move, the Up Arrow key to jump, the Down Arrow key to crouch and the Space Bar to throw fireballs. In addition to the standard series of game levels that can be played, this game also includes a superb Level Editor which you can use to create and play your own levels - it includes instructions for how to use it. All Credits go to Pouetpu-Games.com For Developing This Game. Feel free to visit their website to play this game and other entertaining flash games. To save any levels you make in the Level Editor for use again another time you visit this website, click on the "Code" option in the Level Editor main menu for the level you want to save, then click on "Copy to Clipboard" to copy the code for your level into your computer's clipboard memory, then paste that level code ("Ctrl" + "v") into the Notepad program (normally found in your Windows "Start / Programs / Accessories" menu), and then save it to your computer as a Notepad .txt file. To play that saved level again and edit it some more another time you visit this website, simply open the .txt file you saved to your computer previously, copy the level code into your computer's clipboard memory ("Ctrl" + "a", then "Ctrl" + "c"), go into the game's Level Editor and click on one of the three "Load" options in the Level Editor main menu, then paste the level code into the large white box in the game (click inside the box first, then "Ctrl" +"v"), then click "Load", then click "Play" and you can play that level and edit it again as you wish. how to download this game?????? So cool and challenging. I love it. I got it bookmarked. Love to see your site. My birthday is in 3 days!!! It is on the Monday 9th of January 2017.